my little red suitcase: a finished autumn blanket! After two days without a local internet connection, I decided it was time to show you these pictures. We had an evening of playing chess and drafts and re-connecting! It felt like divine intervention really and a little glimpse back to how life used to be. I quite liked it. It felt really different and has given me something to think about. I definitely felt more present in my life and I felt like I had more time! It's a tricky thing to get the balance with. I am enjoying my new autumn blanket. The light indoors is just not up to it, so I took the blanket outside to show you. You can see the colours are quite dark already. I'm so happy I added the little pops of colour. Overall it's the effect I was looking for. I wanted something darker, perhaps less girly to sit on my couch in these colder months. I was a little unsure about adding in the beige colours to the mix, but having ordered the wool I decided to plough ahead with it. The brighter colours in the middle were some merino wool from my stash. I was inspired by this blanket here, by little cotton rabbits. I saved this in my flickr favourites a long time ago. I was inspired by the colours although mine is not quite as blue grey as I would have liked. But in situ it looks just fine, and I will show you eventually. The pattern was very straightforward as you can see. Triples followed by four chains at every corner. 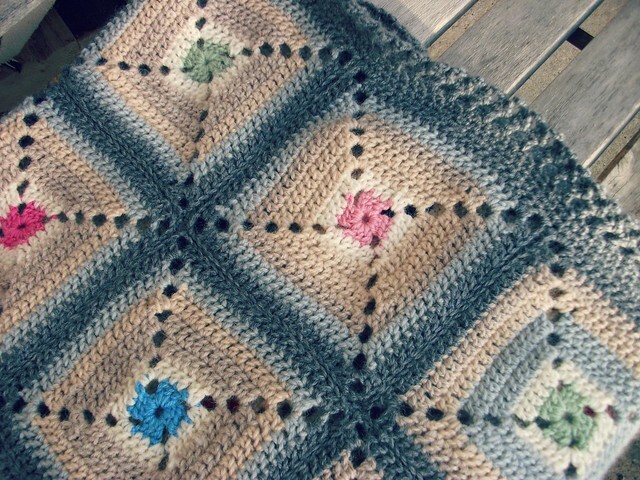 The join is ridged underneath, which I decided would be best as really this blanket will be for sitting on! It's probably the size of a large lap blanket. Any larger would need serious dedication. 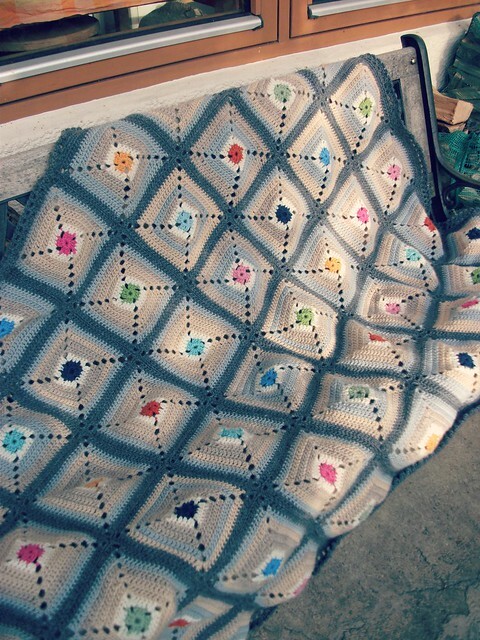 I do have my eye on this blanket found on Annette's pinterest board, as a possible next project. Definitely back into girly! wouldn't it be lovely. Just wanted to add that this screensaver for December is fun. Wow Heather! I love it :) Gorgeous colour palette too. The colors in your blanket seem a little retro to me--very cool. I know what you mean about sincere dedication to large works too. I've yet to find the patience myself. 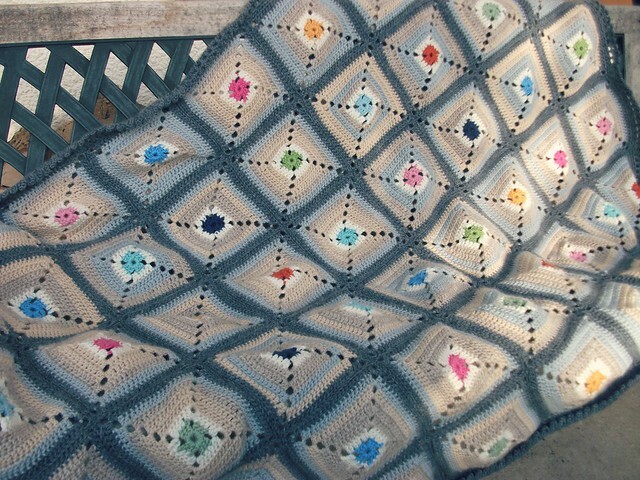 what a lovely blanket - just stunning! Lovely blanket! Thanks for writing an inspiring blog. Love, love, love it too! Well done, it's just gorgeous. Have fun snuggling under it. 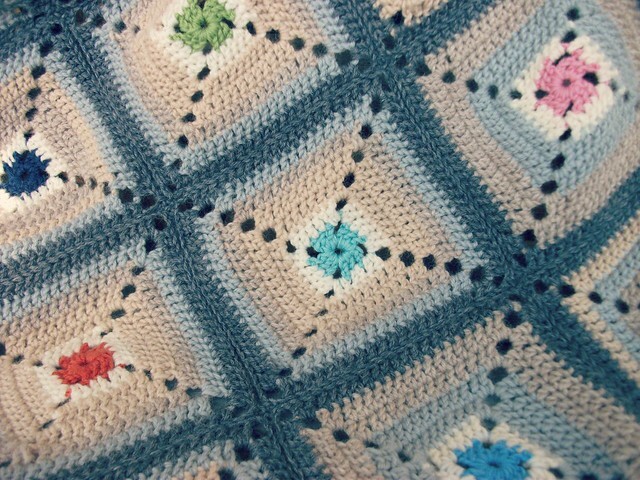 I love this blanket, because of a feeling of harmony it gives me at first sight! these are not my usual colours, but they calm me, so this is really good I think! Hi Heather, Really loooooove your blanket!!! Love the smokey blue-y grey with pops of bright colors!!!! 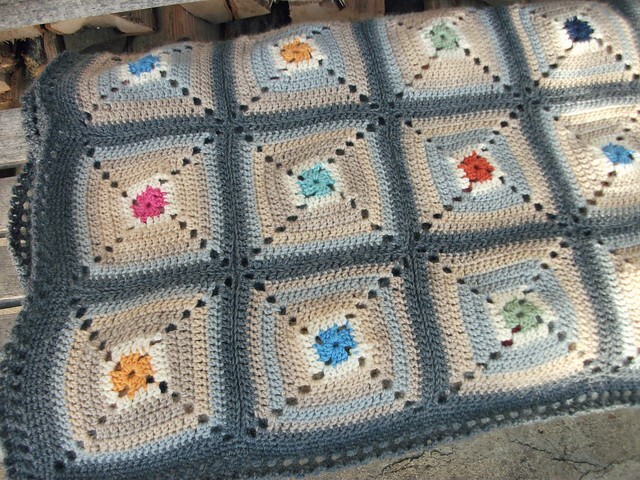 It's going to be a very popular blanket this winter, of that I am sure!!! Have a great week and stay warm and cosy!!! Wow, it's really stunning Heather. I think the colours are perfect and love the pattern you chose. Enjoy snuggling under it this winter. What a truly beautiful blanket, the colours are gorgeous together. Love it!!! The pops of color with the softer colors are perfect!! Great job! Lovely blanket, the colours are just right. You playing chess and draughts reminds me of when I was a kid and the electricity went off. We always used to play cards, which was quite difficult in candle light! That's a beautifully subtle blanket, your choice of colours was spot on.